Sharing low-lactose, lactose free and gluten free recipes. Also happily dabbling with Paleo Recipes! So what is baking soda and baking powder? Well they are not the same thing and they are not interchangeable. They are both leavening agents - a leavening agent is a substance used in doughs and batters that produces carbon dioxide and causes them to rise. 2. It can cause the mixture to rise too rapidly which will make the air bubbles grow too large and burst in turn causing the mixture to fall. 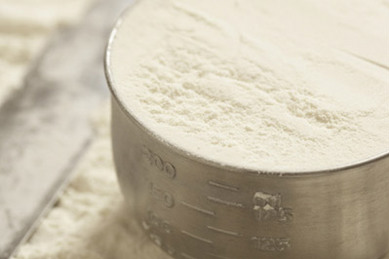 If you have plain flour and want to make self-raising flour then mix two teaspoons baking powder to a cup of plain flour then sift a few times. A quick note – you have to work quickly when using homemade baking powder. My name is Sia and I am lactose and gluten intolerant which is why I started this blog. I love to cook and find it hard to find easy and good low lactose and gluten free recipes. The last year or so I was on a Paleo diet but found my body does not like coconut oil and too much almond meal so I have altered my diet again. I hope you enjoy these selections from my new diet and hope they help you as they have me.